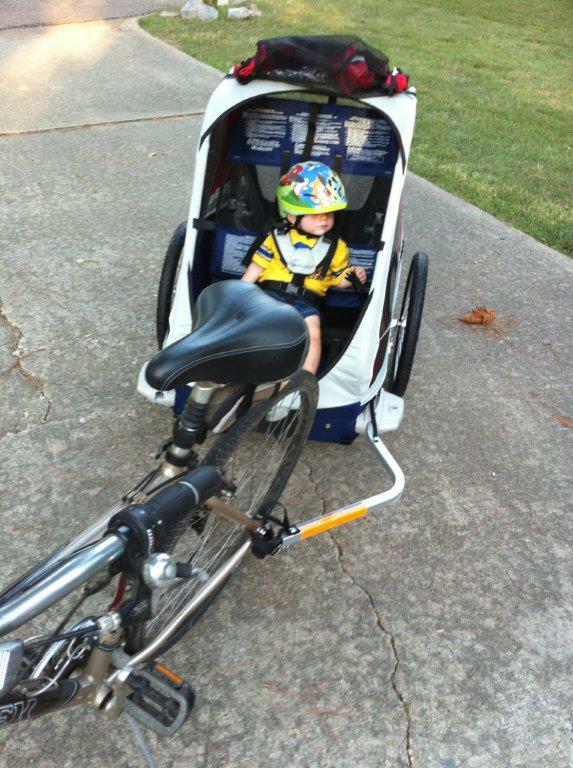 So for Christmas last year Daniel's parents gave us a super generous gift to buy a bike trailer to transport Simeon. You're not supposed to ride your baby until they're a year, but we decided he's close enough. 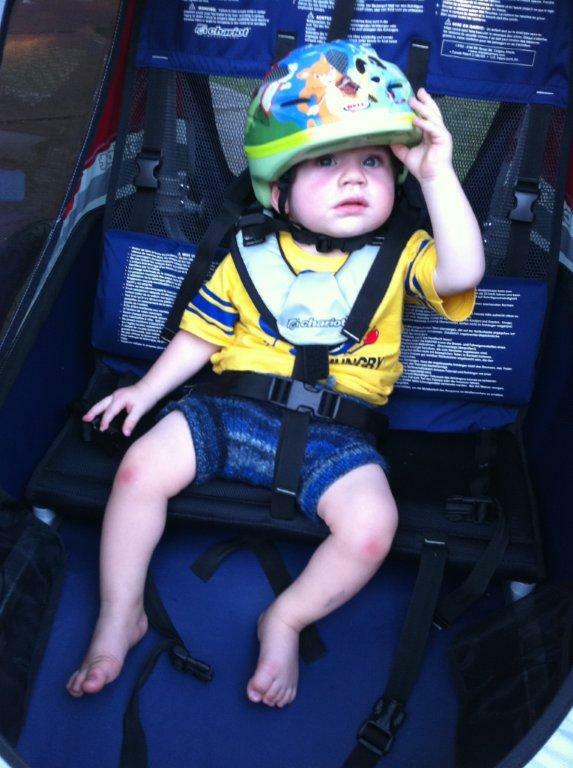 I have done lots of research and settled on the most expensive maker of baby bike trailers, but it's hard to put a price on your child's safety. We ordered a Chariot Corsaire XL and it just came in yesterday. Daniel got home in enough time to take a late evening spin, we all had a good time. Simeon was a little dazed, but it was bedtime after all. He is very secure in it, something I was concerned about after trying one out at our local bike shop. And it has this awesome suspension system so he's not jostled so much over the bumps. I'm looking forward to increasing our exercise.